Andrew has a Masters of Fine Arts in Theatre Performance from The University of Nebraska-Lincoln and received his B.A. in Theatre Arts from the University of Oregon. He has taught workshops in theatre and Improv all over the country and he has taught formal Improv classes at Oregon State University and in the fall and Winter of 2017-8 at Linn-Benton Community College. He is a current member of the Resident Acting Company at Bag&Baggage Productions. Andrew is a founding member of No Filter Improv and is a current member of the Long Con Improv Group in the Mid-Willamette Valley. Andrew has performed in venues all over the US, in a Castle in Ludlow, England and as part of the Podium Festival in Moscow, Russia from crowds of 4 to over 5500. He would like to thank his family, friends and his two cats, Joker and Lucky(#bigpussin), and, of course, his lovely wife Katie, who jets all around the country on her own acting adventures. Jacquelle is overjoyed and honored to be a part of this talented troupe. She has dabbled in various improv groups but this is her first time as an official member of a troupe. She is a Portland native actress. She received her B.F.A. from Willamette University. Her favorite roles include Jane Fonda in That Pretty Pretty; Agatha Wylie from Smash; and Verges from Much ado About Nothing. Jacquelle has also worked with Post 5, Mister Theater, Pulp Diction, Oregon Adventure Theatre, and Original Practice Shakespeare Festival. Kaia is thrilled to be making some crazy fun with these ridiculous people! 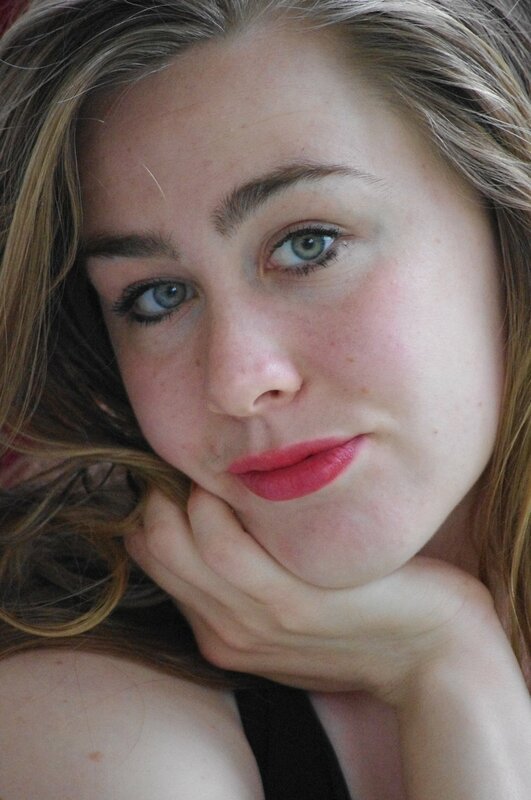 Kaia is a Theatre Vertigo Company member, a core member of OPS Fest and a company and board member of the Pulp Stage. She also works as a costume designer around P-town. Recent acting credits include: April in The Best of Everything (Bag&Baggage), Nora in Assistance (Theatre Vertigo), Jane in BOX (The Pulp Stage), Prince Hal in Henry IV (OPS Fest), and Jessica in A Maze (Theatre Vertigo). Shout out to Mom (otherwise known as Lena-Liis Kiesel) and her sister Clara-Liis for all of their undying support and love. Peter holds a Bachelors of Theatre Performance from Northern Arizona University and apprenticed at the now defunct Grand Canyon Shakespeare Festival and AZTheatreWorks in Flagstaff. Peter is a founding member of No Filter Improv, having never done improv before, and being scared to death by it. He is a proud member of the Bag&Baggage Resident Acting Company, where he spends the majority of his time on and off stage. While in NYC he was a board member for NativeAliens Theatre Co, the Director of Development for Dysfunctional Theatre's Classics Series, a tour guide for the Greenwich Village literary Pub Crawl, and a critic at large for Nytheatre.com/Indie Theatre Now. He has performed for numerous companies in PDX including Artists Repertory Theatre, Badass Theatre Co, triangle productions!, Northwest Classical Theatre Company, Portland Actors Ensemble, and Northwest Children’s Theater. In NY, he worked with La Mama E.T.C., Immediate Theater, Dysfunctional Theatre, DMTheatrics, Three Graces, NativeAliens, The Tank, Alliance Repertory, and more. When not on stage, he enjoys cooking Indian food, hunting down interesting wine, singing, plunking on the ukulele, and spending time with the ladies in his life — his wife Dawn and their daughter Olivia. Gary has been regularly performing Improv in the Pacific Northwest for over 10 years now. 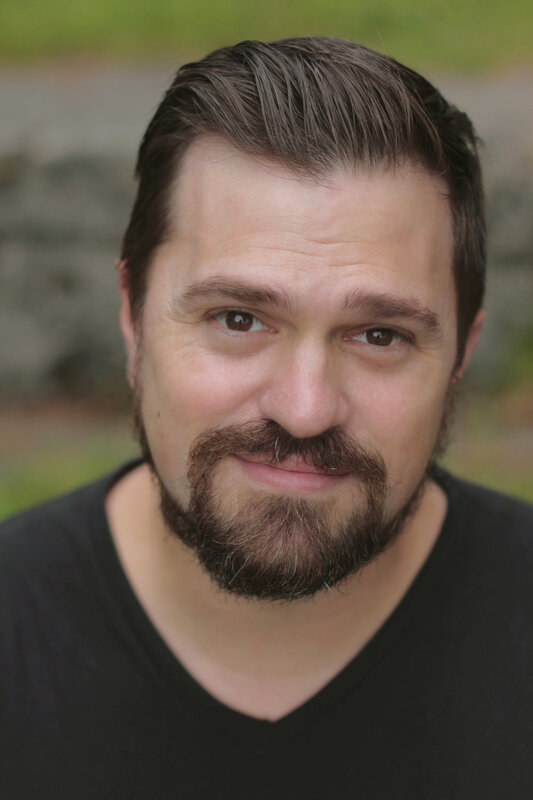 His professional career started as one of the inaugural members of the Resident Acting Company at Bag&Baggage, and he is currently an Associate Artist for several local theatre companies. Since college Gary worked with several local improv and outdoor theatre companies performing for audiences all over Oregon. He has performed at Bagby Springs, the Oregon coast, and various venues over the Willamette Valley. Some of his more memorable work includes The Pillowman (as Michael Katurian), Midsummer Night's Dream (as Oberon), and The Merry Wives of Windsor: Or the Amorous Adventures of the Comical Knight Sir John Falstaff (as the comical knight Sir John Falstaff). Gary would like to personally thank his wife Lindsey Strong; he could not be funny without her dedication, support, and permission.